Enchanted single story villa situated at the end of a quiet cul-de-sac exuding charm; from the oversized hand hewed courtyard entry doors to the archways, voluminous ceilings, unique light fixtures and ideal floorplan. Flanking one end of property is a large pool, outdoor fireplace, eat-at BBQ area and picturesque mountain views. On the other side of the walled and gated property you will find private gardens, fruit trees and a grassy yard. This 4 bed & 3.5 bath main house had three bedrooms and all living areas on the entry level. The romantic and secluded master lets you gaze at the mountains and nature or relax in the luxurious bathroom complete with vanity, steam room, and spa tub with separate shower. 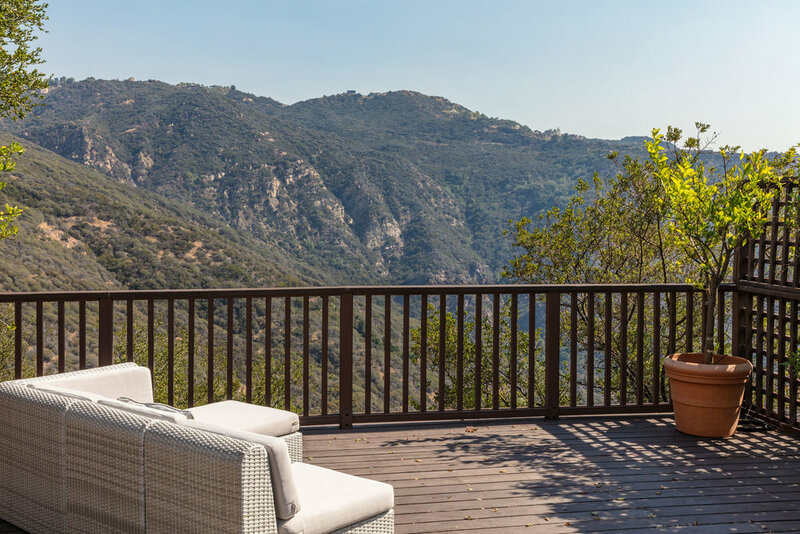 Also aiding in relaxation is a yoga/meditation room and for those who like to entertain-a formal dining room with an expansive deck and patio for additional dining or entertaining and sharing the comforting views of the Las Flores Mountains with friends. A guest suite comprises the entire second level - offering guests a retreat within. A romantic retreat.